Posted on June 6, 2018 at 4:13 pm. It seems like everyone is on social media these days! Whether it’s Facebook, Instagram or Twitter, different people have been engulfed in other people’s lives, comments and keeping up-to-date on the latest and greatest of new things. That’s why it’s crucial for businesses to stand out amongst the masses. But how should you do it? How can you find success in such a populated social media world? 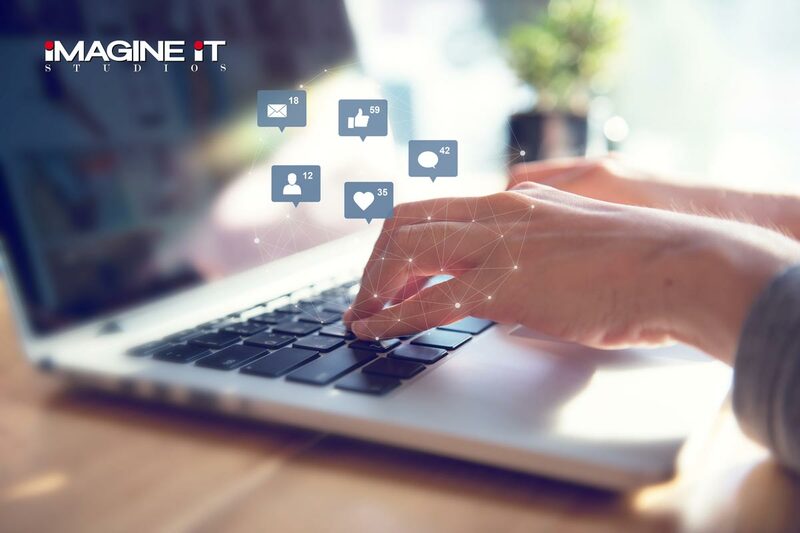 Whether your business is just starting a social media page, or if you haven’t had much success with yours, then check out our four tips on how to go about making it big! Facebook posts with images see 2.3 times more engagement. 80% of audiences would rather watch a live video from a brand than read a blog, and 82% prefer live video from a brand social post. Going live gives audiences a more personal view of everyday production, events and behind-the-scenes previews because they’ll feel as if they’re actually there. Make your Facebook Live posts engaging, fun and informative. What’s the point of social media if you aren’t going to be social? Liking comments, sharing posts, retweeting and engaging with your audience all work to build your brand. With brand interaction, you’re giving your audience a sense of community. Asking questions, taking polls and being social and engaging can give you insight on what’s working on social media and what isn’t. Starting out on social media can be daunting. You might feel like an underdog while your competitors are making it big. DON’T GET INTIMIDATED! One way to gain traction is by consistently posting, whether it’s three times a week, twice a week or every day. Nothing is worse than a business disappearing for a month then randomly coming back on Facebook, Twitter or Instagram. Consistency is key, especially for a young brand adventuring into social media. Remember, people tend to follow tons of pages and businesses, so if you aren’t posting enough, then you’ll be forgotten. Social media is much more than just getting likes, comments and shares; it’s your business’s personality! A good social media account will spark curiosity, thereby driving consumers to your website. With a strong social media presence combined with a user-friendly website and search engine optimization (SEO), your business can soar into the skies of online success. Get started by reaching out to our digital marketing company in McAllen today! A Facebook Dating App: Is it a Genius Idea or Too Much?